These photos where taken at the Pansukian Resort by the Pansukian Resort. 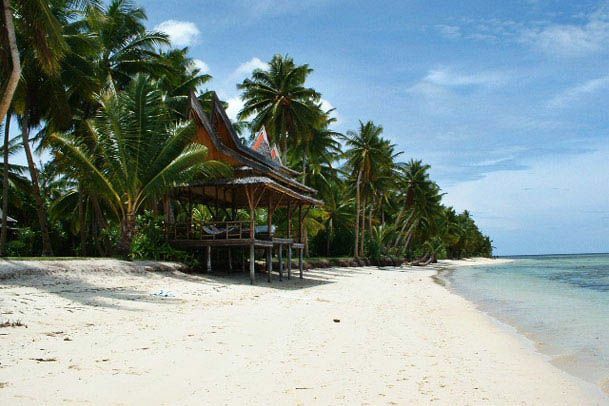 They capture the beauty that surrounds the Pansukain Resort, which is right on the beach on Siargao Island. 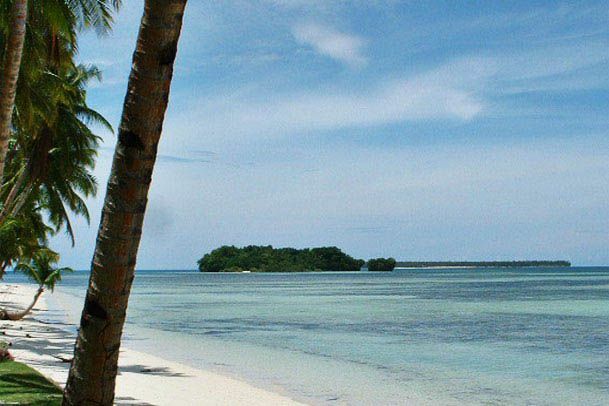 Siargao Island is on the Pacific Ocean side of Mindanao on the northern most tip. it is here that surfing has become extremely popular with locals as well as foreigners. I cannot do this photo any justice with words, other than to say it is the perfect image of crystal clear water meeting white sand beach with a coconut tree leaning out over towards the water. It stinks tropical and I'm jealous. 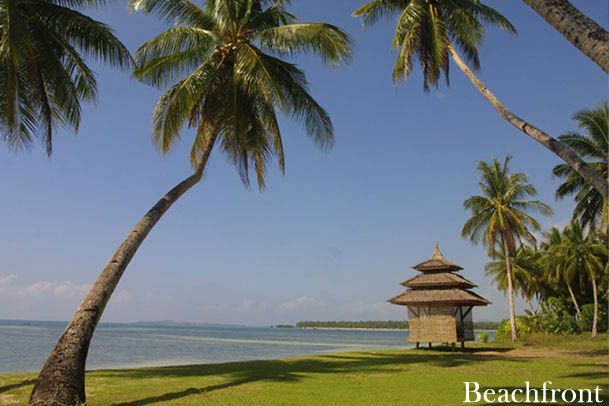 This photo shows the Pansukain Resort's Cabana overlooking the beach and water of Siargao Island. All the villas are inter-linked by the pathways. 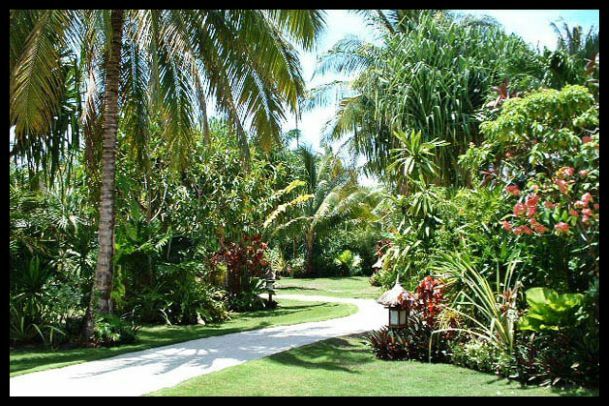 These pathways take you to your villas, reception, beach they wind puposefully through the tropical gardens. A look at the manicured lawns, which almost touch the water. The view over the inner reef is a must for avid snorkelers. You can still see how clear the water is even though the photo was taken some distance away from the reef. 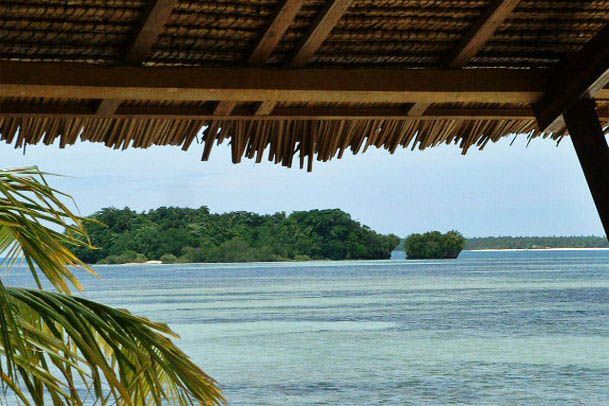 A photo from Pansukain Resort, looking at one of the many islands that litter the area off Siargao island. Most of these islands have outer reef which capture the swell, producing crowdless waves, a dream for avid surfers. Have a look here for details of surfing in Siargao. A closer view of the island off Pansukian Resort. Tastefully framed by the Cabana on the beach. Once again the clarity of the water is simply amazing, if you are an avid, surfer, scuba diver or are into game fishing, then you will just love this place. Mangroves are an important step in the ecology of animal life. 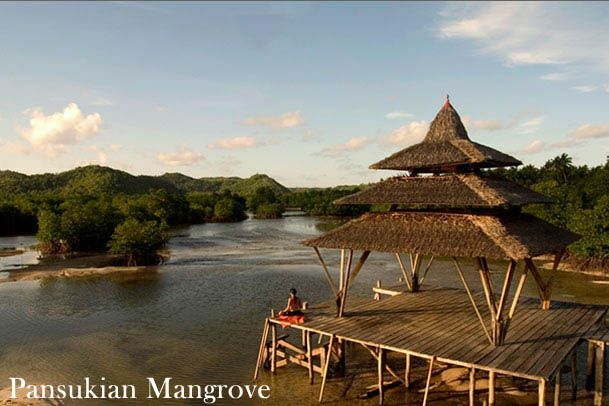 Where you see mangroves it is an indicator that the environment is healthy. It is a breeding ground and nusery for sea creatures that are too small fend for themselves and need to hide to stay alive. The Pansukian Resort has blended the mangroves to be part of the resort, I have not seen this before and it is a credit to them. For photos of what the rooms and villas look like at the Pansukian Resort have a look here.